I really have problems sleeping. A LOT. I toss and turn half the night trying to fall asleep, then once I do fall asleep I wake up in the middle of the night. I end up feeling exhausted in the morning and am a real witch during the day because I’m so dang tired. That’s changed since I started taking raw honey to sleep at night. I now fall asleep quickly and stay asleep all night. I’m always on the lookout for an all natural sleep remedy that works. 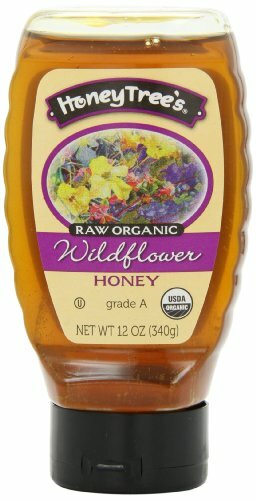 I knew raw honey had a lot of beneficial properties, but I had no clue how powerful raw honey when it came to treating insomnia. I think it’s majorly overlooked as a natural sleep remedy. But then I wondered, does raw honey make you sleep? How do you take it? How much are you supposed to take? 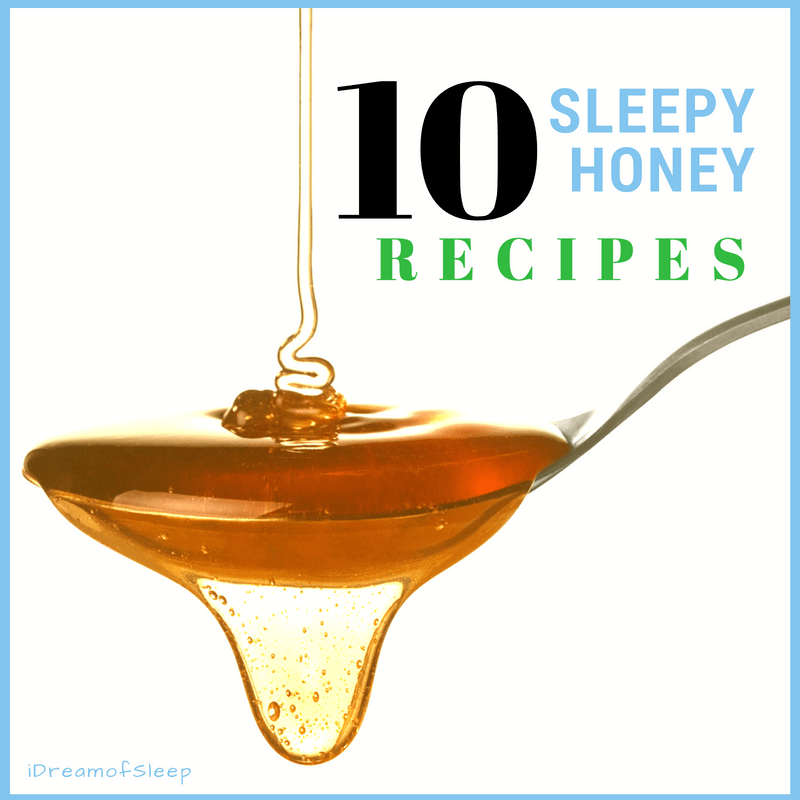 I looked around the web, and found there’s a lot of raw honey sleep recipes out there. Did they taste good? Did they WORK? I thought I’d give them all a try and see how they tasted, but, more importantly, how well they actually worked. I call it my raw honey sleep study. So, yeah, I’m taking one for the team here, because some of these raw honey sleep recipes are kind of weird and not what you’d expect. 2 How Does Raw Honey Make You Sleep? 4 Does the Type of Honey Matter? 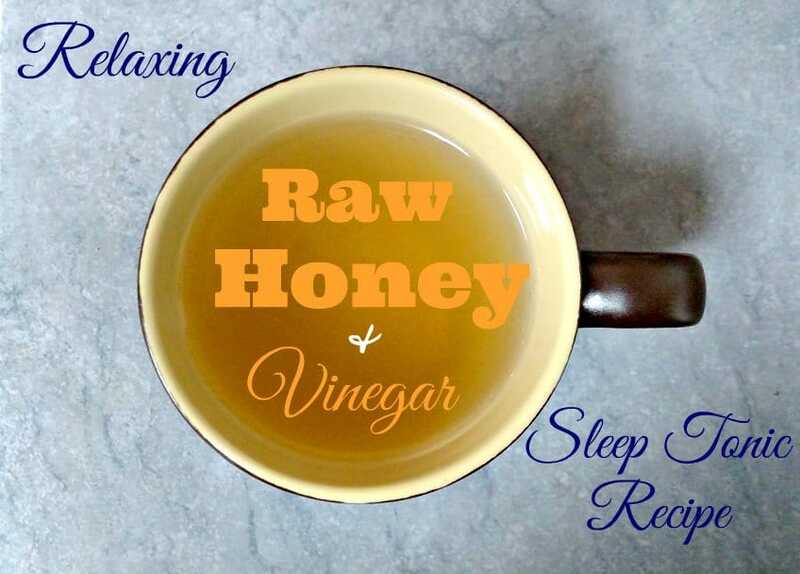 9 Raw Honey and…Vinegar for Insomnia? 10 So What’s the Verdict for Raw Honey as a Sleep Aid? 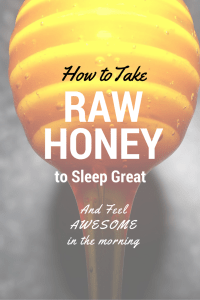 How Does Raw Honey Make You Sleep? Do you wake up in the middle of the night for no reason whatsoever? It’s likely because your glucose levels dipped and triggered a stress response in your brain. Raw honey fuels the liver, and the liver later turns glycogen into energy. The body needs a certain amount of energy to get through the night. Glucose (energy) needs to stay at an even keel at night, and the glycogen storage releases steadily throughout the night. Taking raw honey to sleep means you won’t wake up suddenly out of a deep sleep because your glycogen levels have dropped too low. The sleep benefits of raw honey aren’t limited to glycogen. Raw Honey really is that magic sleep ingredient you’ve been missing. 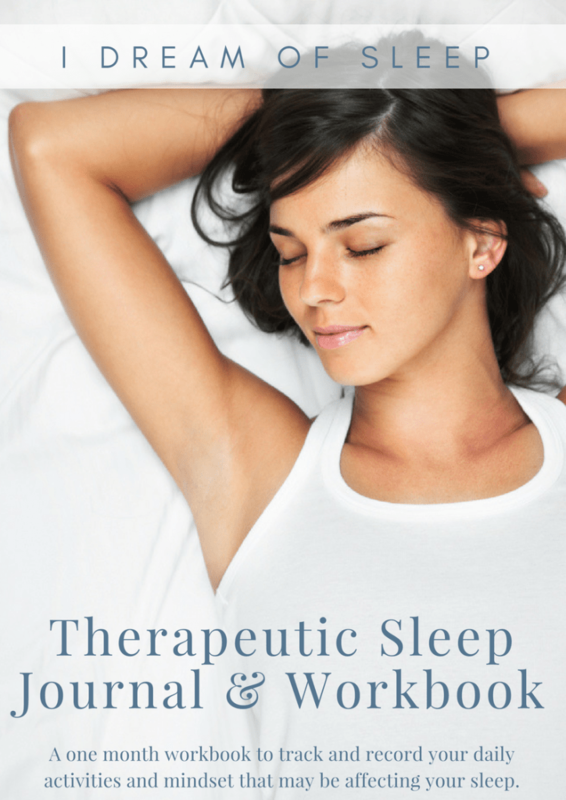 Activates a series of sleep hormones to start the sleep process normally. Slightly spikes insulin levels, which releases tryptophan (that lovely thing that makes you go into a turkey coma at Thanksgiving) which then turns into serotonin. The serotonin turns into melatonin that gets released in the brain. 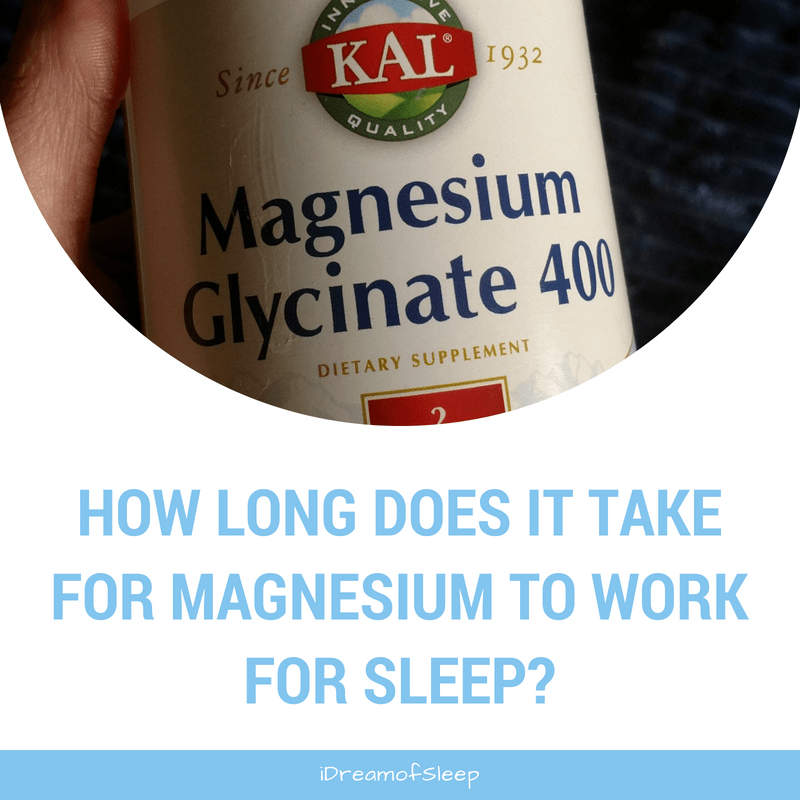 Contains magnesium, a mineral that prevents insomnia. Does the Type of Honey Matter? When it comes to honey, organic raw honey is THE best honey to use as a sleep aid. Most supermarket honey has been heated, processed, and pasteurized. By the time it gets to you, all the nutrients like bee pollen, vitamins, and enzymes have been cooked out of it. Store bought honey could actually contain GMO’s, antibiotics, and high fructose corn syrup. Yuck! Organic raw honey is honey that was harvested straight from the hive. It hasn’t been heated or processed. 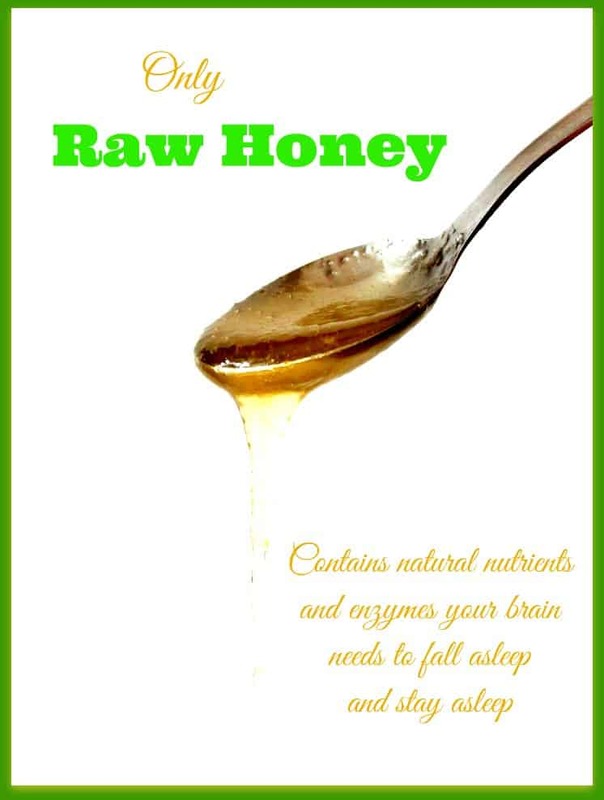 The vitamins and enzymes in raw honey will help you fall asleep. 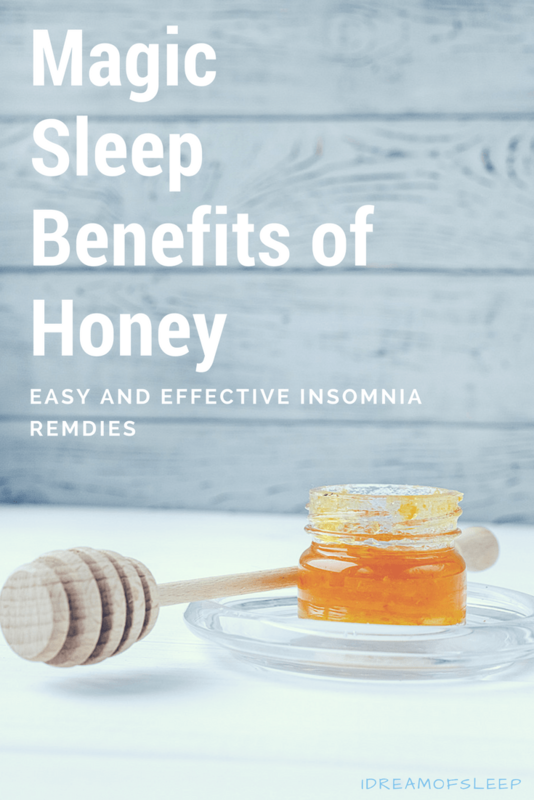 In order to get the full sleep benefits honey as to offer, it’s best to use raw honey to sleep in whatever recipe you choose to take before bed. 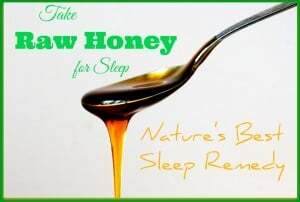 And there’s so many different ways to take raw honey to sleep! 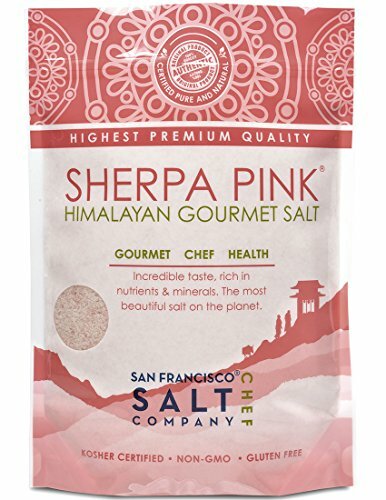 Mixing extra fine grain pink Himalayan sea salt and honey for sleep may sound gross, but it’s really not. The sweet and salty taste kind of balance each other out. 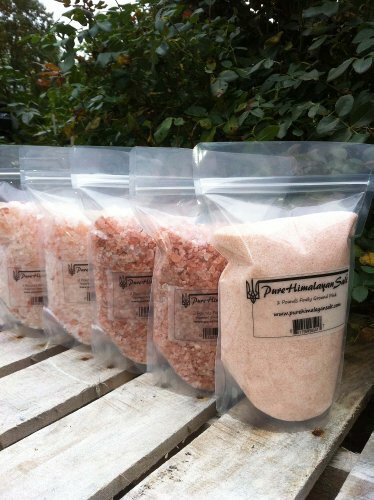 Pink Himalayan sea salt has some amazing sleep properties, both externally and internally, of its own. Contains magnesium, a mineral that relaxes muscles and decreases cortisol, the stress hormone. 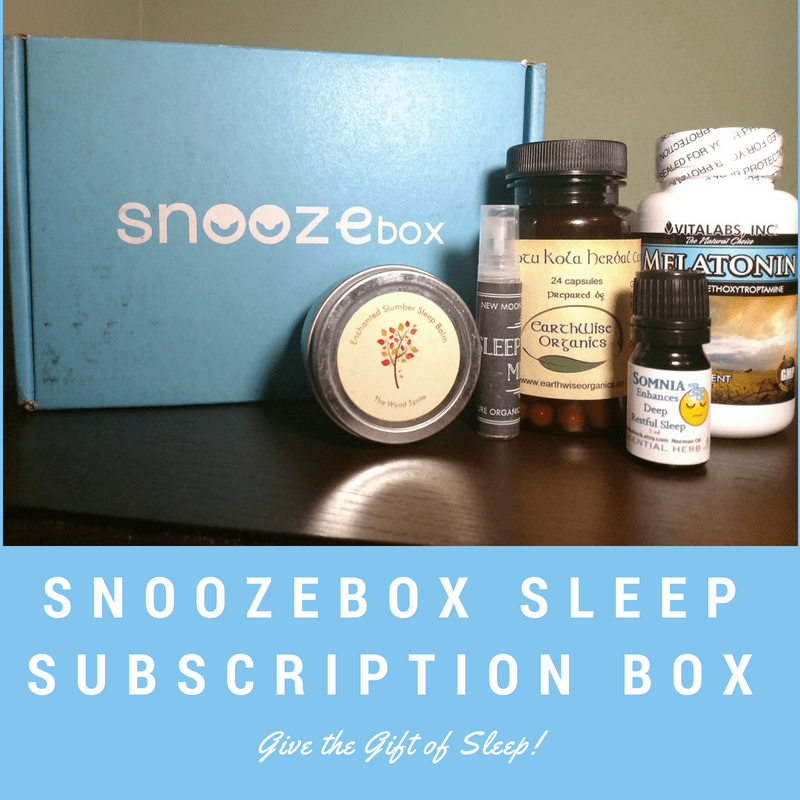 Works with honey by regulating the sleep hormones serotonin and melatonin. Balances electrolytes. Electrolytes can cause sleeplessness if they’re too high or too low. Mix five teaspoons of organic raw honey with one teaspoon of salt. Store in a glass jar. Do not refrigerate! Before bedtime, put 1/2 tsp to 1 tsp of the mixture under your tongue and let it dissolve. 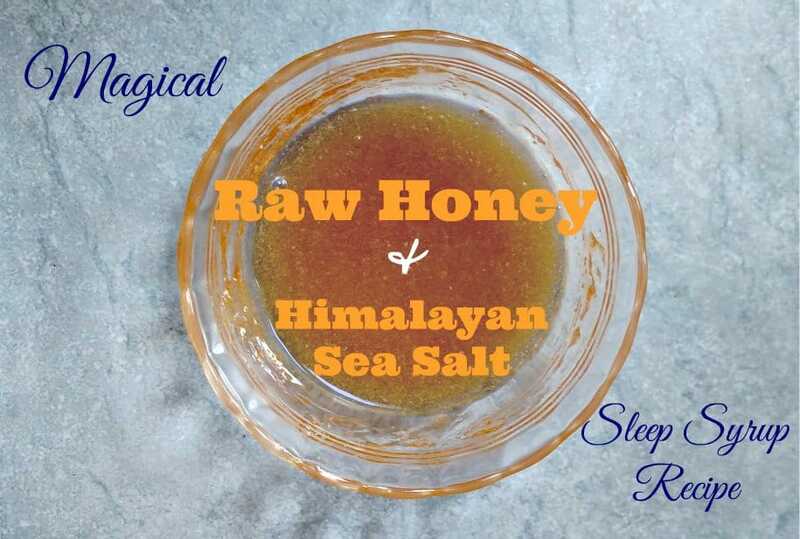 Taking Himalayan sea salt and raw honey to sleep is safe to use every night so you can get the best night’s sleep ever! 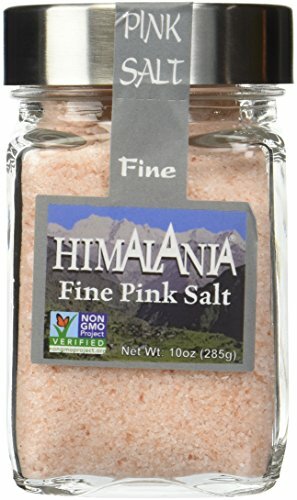 TIP: Be sure to use extra fine grain salt. You don’t want to be crunching on rocky honey. Also, this won’t go bad. Store on your counter in a sealed glass jar. TASTE: It has a sweet salty taste that I really liked. If you love sweet and salty snacks, like chocolate covered pretzels, you’ll really like this. I’d have no problem taking this on a daily basis. I’d even look forward to it! DID IT WORK: I took this before I took a bath and did my nightly routine. By the time I got into bed, I could hardly keep my eyes open. I fell asleep and stayed asleep until my alarm went off the next morning. I give this an A+ for taste and a B+ for effectiveness. Cinnamon is a surprising common ingredient I would have never thought would help you fall asleep. Other than eating it in french toast and in roll form, cinnamon has been low on my radar. But cinnamon has many health benefits, most of them benefits that can give you a good night’s sleep. 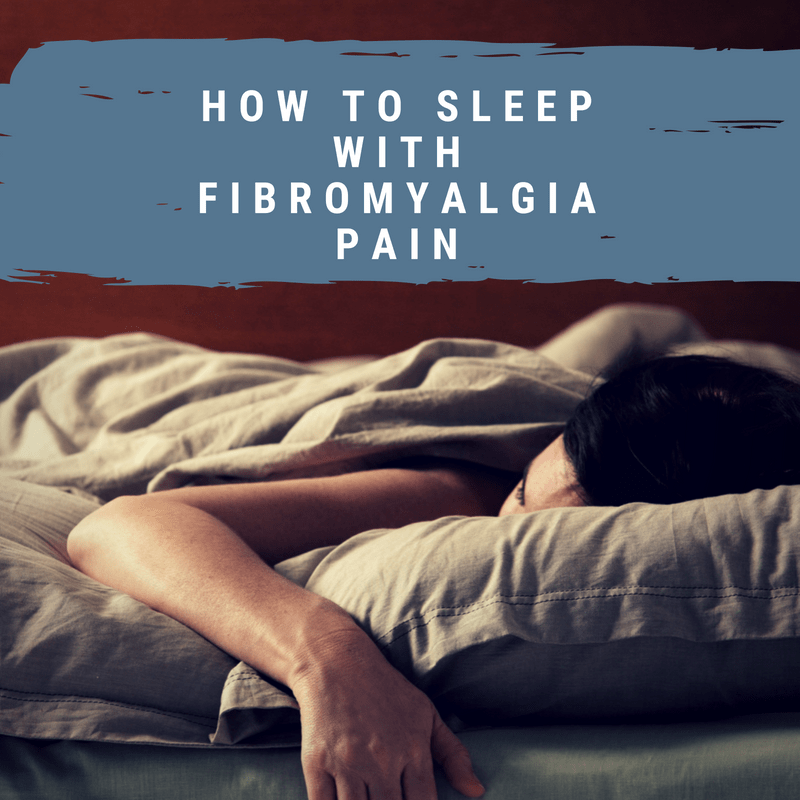 Regulates blood sugar by reducing spikes and crashes, which keeps you from waking up at night. Don’t try to use the cinnamon that’s in your spice cabinet. Most supermarket cinnamons aren’t cinnamon at all, they’re made from cassia. It’s really a root that’s a cheap substitute for cinnamon. Use pure Ceylon cinnamon for best results. 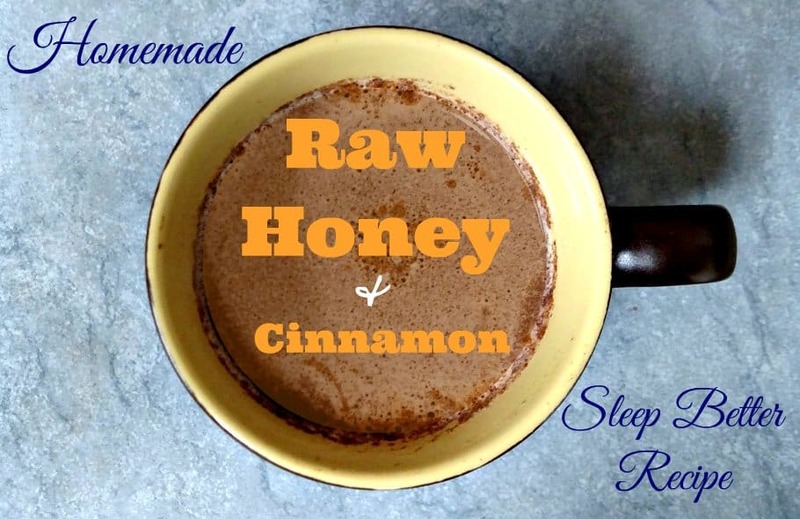 This honey cinnamon sleep tonic will help you drift off to dreamland. It’s a really good drink that helps sleep. Insomnia doesn’t stand a chance when warm milk, which contains tryptophan, is added to the honey and cinnamon. Heat 8 ounces of milk in a saucepan, being careful not to scald it. Remove from heat and add 1 tsp raw honey and 1/4 teaspoon cinnamon. Drink one hour before bedtime. TASTE: This raw honey and cinnamon sleep tonic tasted really good. It had a spicy sweet goodness to it that was comforting itself. I could definitely get used to drinking it every night as part of my evening ritual. DID IT WORK: Taking cinnamon and raw honey to sleep is definitely a good way to get sleepy quick. Within an hour after taking it, I was ready to go to bed. It didn’t take me long to fall asleep, and I had a full, restful night’s sleep. I give it an A for taste and effectiveness. Nutmeg is another kitchen spice I had no clue could knock you out like a light. I was shocked to learn nutmeg’s chemical structure is actually similar to tranquilizers. It’s a powerful sleep ingredient. And when combined with raw honey and warm milk, it makes for an unusual but highly effective sleep elixir. Releases neurotransmitters that relax your muscles. Has vitamins and minerals like magnesium, B complex, and potassium, all of which the body needs to promote a restful sleep. Nutmeg is also slightly narcotic. 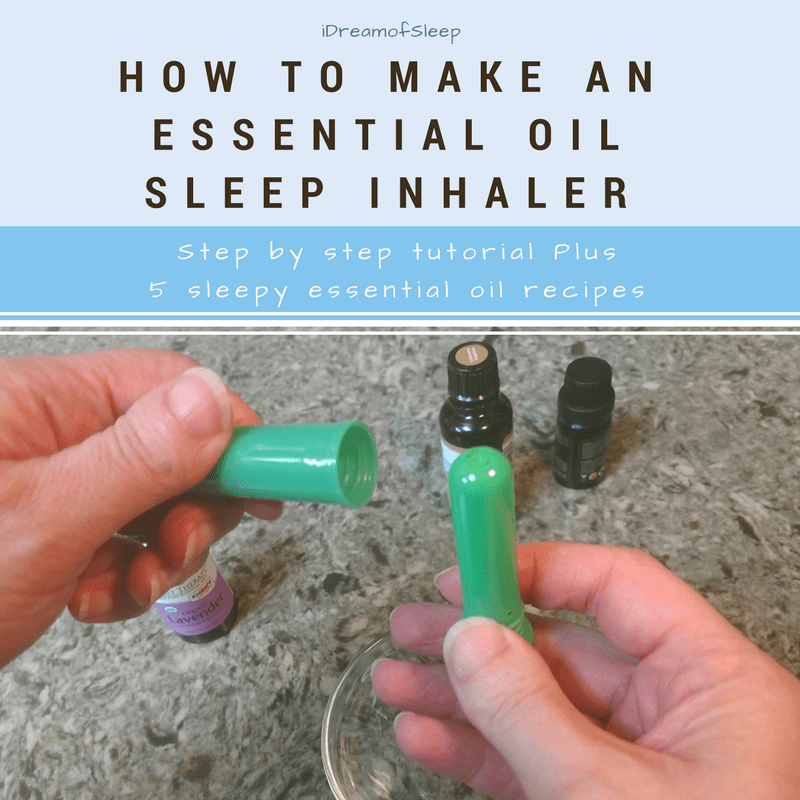 Although the amount in this recipe won’t make you high, it does make you feel good, and helps you drift off to sleep easier. Man, where the heck have you been all my life, nutmeg? Oh, yeah, you’ve been hanging out in pumpkin pie and my spice rack. CAUTION: Nutmeg is safe if used in small amounts, 1/4 tsp or less in a serving. Nutmeg is so potent that if taken in large doses it could cause hallucinations, severe illness, or death. No joke. I actually found this recipe in a honey health and beauty recipe ebook I found on Amazon. Heat 8 ounces of milk in a mug or saucepan. Remove from heat. Add 1 tsp honey (or more if you’d like it sweeter), 1/4 tsp nutmeg, and a pinch of cinnamon. Mix well. Drink a half hour before bed. TASTE: Oh, my gosh, this stuff was beyond delicious. I felt like I was having a dessert more than a sleep tonic. It was sweet and spicy, and kind of had a custard flavor to it. I’d drink this just for the taste alone. DID IT WORK: I wasn’t really expecting a lot from this. Boy, was I surprised. I went to bed about an hour after I drank this. I fell asleep fast, and stayed asleep all night. Usually it takes me forever to go to sleep, and I wake up a lot at night. It’s become one of my favorite drinks that help sleep. I definitely give this drink an A+ for taste and effectiveness. TIP: Do stir this as you drink it. The nutmeg sinks to the bottom, and I didn’t like having a lot of grit at the end. Raw Honey and…Vinegar for Insomnia? When I first read this home sleep remedy, my first reaction was….yuck! How could this ever taste good together? More importantly how could vinegar and honey help me get some Zzz’s? Breaks down fatty acids and releases tryptophan (love that tryptophan!) into your system. Is full of potassium, B complex vitamins, and has trace amounts of magnesium. Who knew apple cider vinegar could be so full of sleepy goodness? Like honey, you’ll get a better result if you don’t use what you buy in the grocery store. It’s important to use organic apple cider vinegar that has the mother in the jar with it. It has much more nutrients and vitamins that white vinegar, or even the AC vinegar than you’ll find on supermarket shelves. Heat 8 ounces of water just so it’s warm. Remove from heat and add 2 tbsp AC vinegar and 1 tbsp raw honey. Mix well, and drink about a half hour before you go to bed. TASTE: At first it had a lemon honey type flavor to it. Then the aftertaste hit. Yeah, it tastes pretty much like you’d think it would. Not a fan. DID IT WORK: I did get moderately sleepy after taking this, but still had a hard time falling asleep. I didn’t wake up during the night though. It worked okay in that regard, but not enough for me to want to put up with the taste every night. I give this a C for effectiveness and an F for taste. So What’s the Verdict for Raw Honey as a Sleep Aid? Raw honey has really exceeded my expectations. 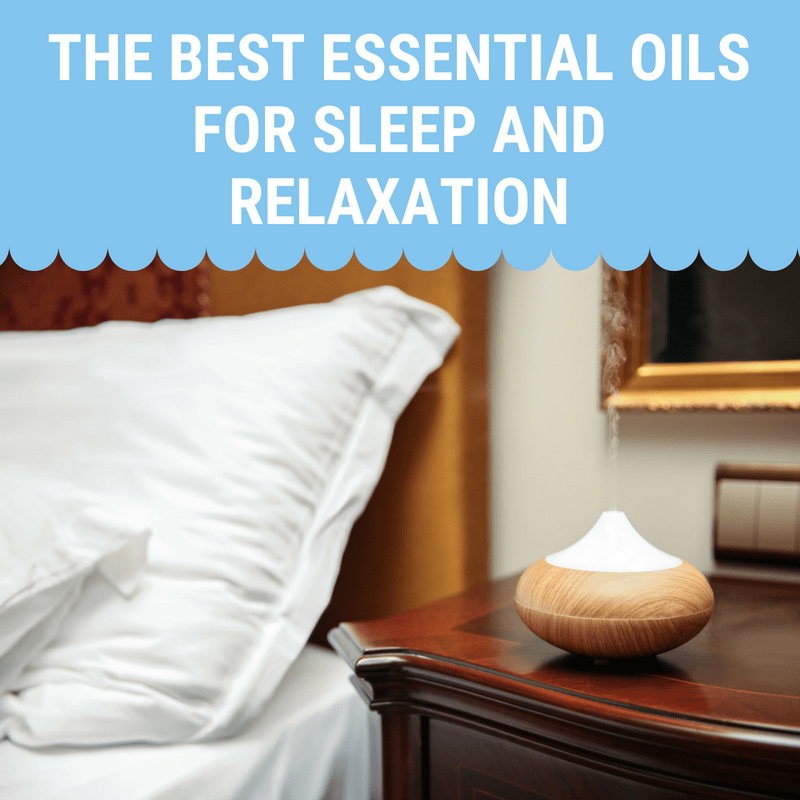 The Himalayan sea salt and the nutmeg recipes worked as well or better as other natural sleep aids I’ve taken. 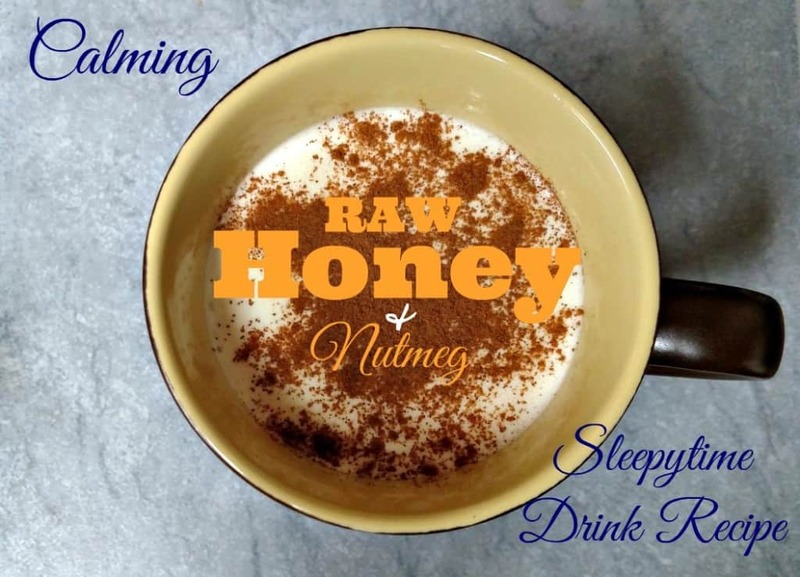 The honey and nutmeg sleepy drink even worked as well as OTC sleep aids I’ve taken, too, just without sleeping pill hangovers. So for now I’ve chucked my other natural sleep medicine. Me and raw honey will be getting together every night for a long time to come. Loved these sleepy recipes and want to try a few more? Honey and bananas to sleep, almond milk and honey, and coconut oil and honey for sleep, are all tasty and effective sleep aids, too.